If you get a lot of email, managing it can be time-consuming. This leads to some people never removing messages from their inboxes at all, or just having one massive archive. But relying entirely on search can be a bad idea when trying to find an email-shaped needle in a haystack comprising tens of thousands of messages. 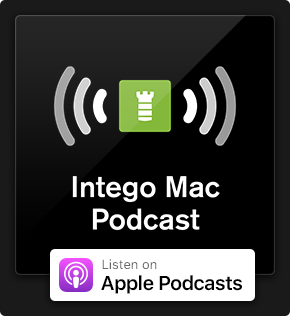 Fortunately, Mail for macOS offers plentiful options for rapidly filing email, making messages far easier to find later. Go to Mailbox > New Mailbox to create a new mailbox. 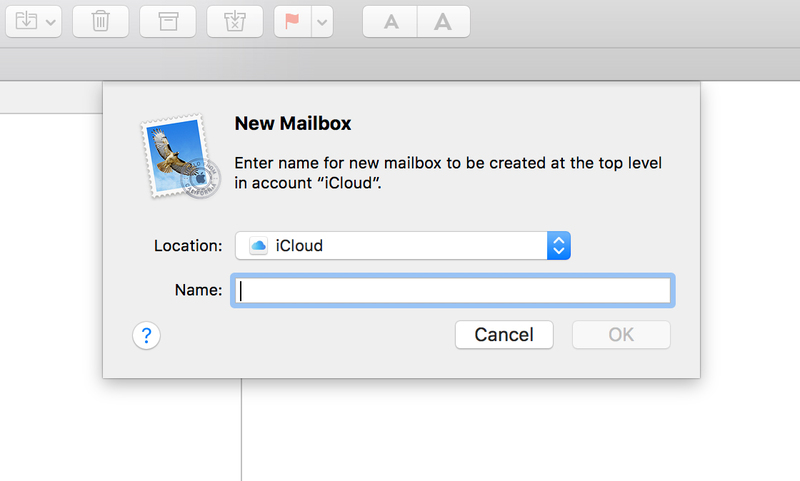 In the sheet, define where you want the mailbox to be located: On My Mac if you only want the archive locally; or online if you use an email service that supports IMAP. The mailbox will appear as a folder in the Mailbox List sidebar (which is toggled using Shift+Command+M). You can drag mail from your inbox (or another selected mailbox) to your new mailbox. Select the mailbox prior to starting a search to limit results to that mailbox alone. If viewing one mailbox but wanting to search in another, use the construction ‘term in mailbox name’ (such as ‘Sierra in Intego’), and select the relevant mailbox name from the results list. A faster way to file email is to use the Favorites Bar. Turn it on using View > Show Favorites Bar, if it’s not already visible. Then drag mailboxes to it from the Mailbox List. Said mailboxes can be rearranged via drag and drop. Should you later want to remove one, drag it off of the bar. Favorites Bar shortcuts are drag aware, so you can drag emails to them for filing. But also they have pre-assigned keyboard shortcuts. Go to Mailbox > Move to Favorite Mailbox and you’ll see you can file emails by using Control+Command and a number. The previous tip isn’t helpful if you’ve dozens of mailboxes, nor if you’ve nested ones, which don’t work well in the Favorites Bar. 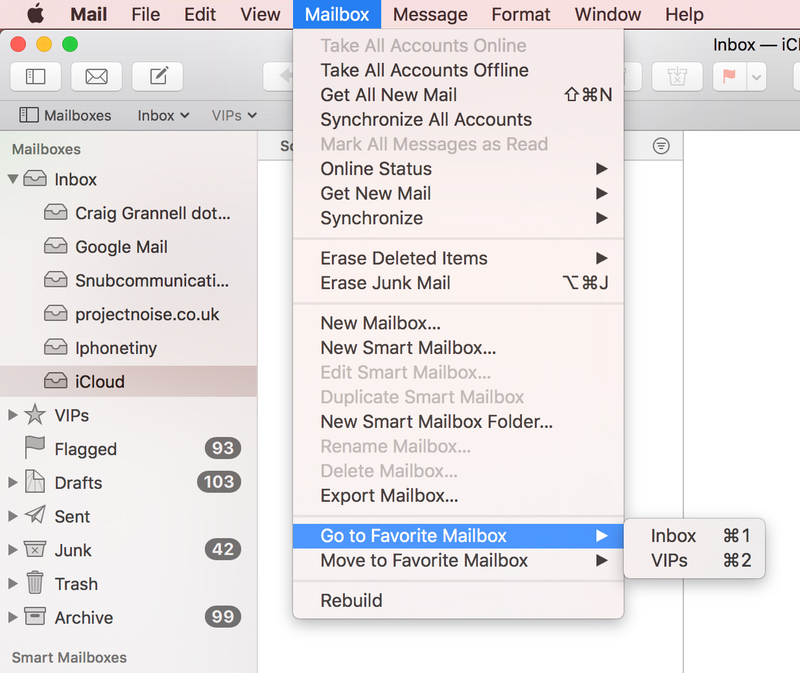 (Only the most recently selected mailbox within a nested list is available for drag and move actions.) An alternate option – perhaps surprisingly – is the Help menu. Click it and type a mailbox name. If the mailbox isn’t stored on the Favorites Bar, the first item in the results list will be a ‘Move to’ action. This makes it possible to rapidly file email to any mailbox using just the keyboard: open the Help menu using Shift+Command+/ (i.e. Command+? ), type enough characters of the mailbox’s name to have it show in the results, use the down cursor key to select it, and tap Enter to confirm. That might sound like a lot of effort, but when the shortcut’s burned into your muscle memory, it’s much faster than dragging things about with the mouse cursor. Although these shortcuts are dynamically assigned to mailboxes in both Move to and also Copy to sub-menus within the Messages menu, Mail is smart enough to only perform the move action when a shortcut is triggered. 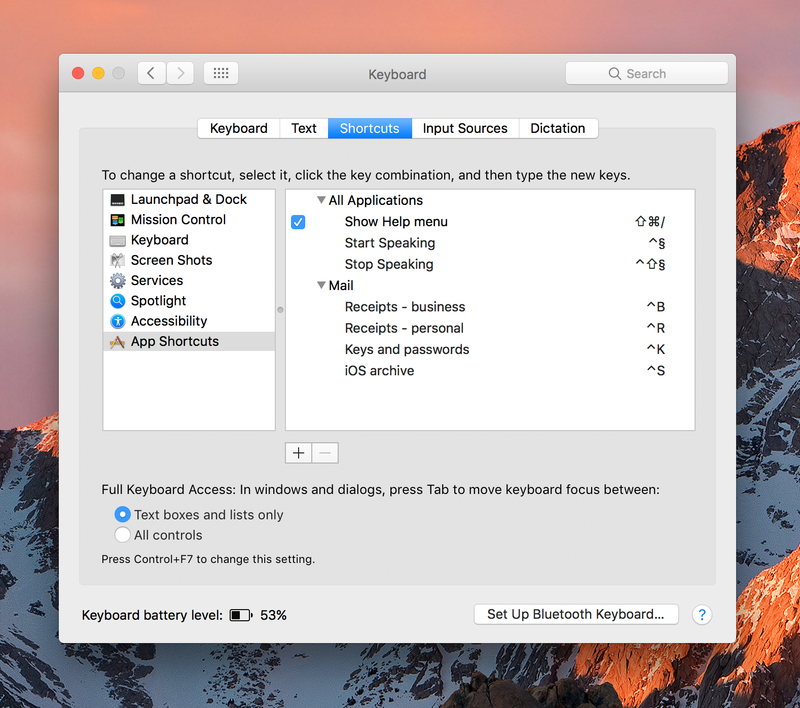 This potentially enables you to file any selected email or emails by pressing just two keys. Note that occasionally you may find the shortcut temporarily fails. If so, selecting a different mailbox and returning to where you were before typically fixes the problem. 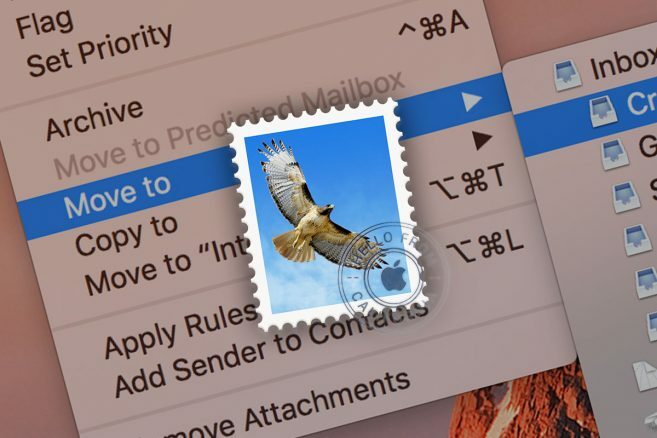 Should you like this newfound power but hanker for more, third-party Mail plug-in Mail Act-On includes powerful filing features that can be triggered using keyboard shortcuts. The app costs $30 and there’s a 30-day free trial. 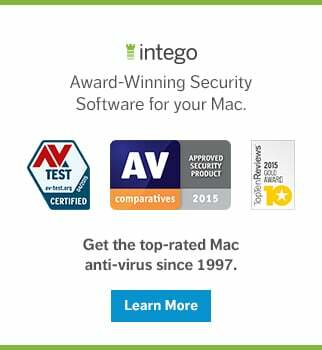 This entry was posted in How To, Software & Apps and tagged email, Mac, macOS, Mail. Bookmark the permalink. Hi Craig, In Mac Mail there is the favourites bar at the top of the screen and within that there is anion saying “move” to move the email to a specific folder. The move button has a specific folder selected by default. Is there anyway to change the default folder that it displays. Assuming you’re referring to the Move button in the Mail toolbar, it’s designed to be dynamic and make suggestions where to place an email, based on where you sent similar messages in the past. I don’t know of a way to set it to a specific folder. Your best bet for rapidly filing email is probably to work with the keyboard shortcuts mentioned in the article.